Why did this happen to me? We often ask ourselves that when change is forced upon us. What if you flip that around and the answer is this is happening for you. A dear friend was initially surprised when her husband left her because she had been a loving wife, but upon further consideration she saw in hindsight there were problems in the marriage and realized she felt underappreciated. Then, the divorce became a pain. A real pain. She was a woman of faith and persevered with prayer, a lot of inspirational quotes (which she often shared on social media), emotional support of friends and family, her own abiding deep strength and a great sense of humor. She also had a vision. She decided to pursue what she really wanted. She wanted to be independent. She wanted to move to the mountains. She wanted to return to nursing. She wanted a cabin in the woods. She made it all happen. After the divorce, she bought a lovely cabin on a beautiful property in the mountains. She and her mother spent time together there and she wanted to renovate a building on the property for her friends and mother to stay in. She made new, great friends. 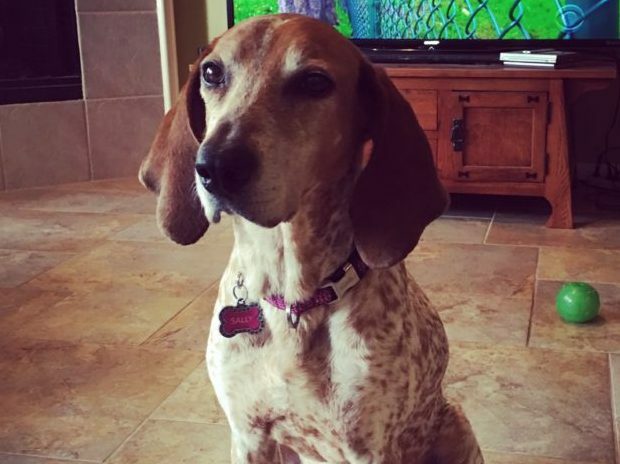 She kept up her love of fostering hounds and caring for her own dogs. She got a job at Home Depot in the garden department, which she loved, while pursuing her return to nursing. Then, she got a job as an ICU nurse at a regional hospital and was so happy about it. She was living her best life. The life she wanted for herself on her own terms. And she was really happy and very loved. It came as a total shock when she passed away at age 59 between Christmas and New Year’s. It seemed so unfair because she was so young and really hitting another stride in life. Yet, it was a consolation to know she was enjoying all the things she really wanted before going home forever. Think about it. What if she had passed away before making huge, life-fulfilling changes? There is no what if because she got to where she wanted to be. So I ask myself and invite you to question, am I where I want to be? Will I achieve what I want in the coming years too? What do I need to do now to make my best life happen today and in the future? Make the change. Health condition? Get a second opinion. Hate your job? Seriously look and persist. Bad relationship? Reevaluate. If it really isn’t good at the core, prepare to move on. Feeling unappreciated? Find a constructive way to express that. Did you have New Year’s resolutions? One of mine was to start getting up at 5:30 a.m. to make time to exercise, read and write before starting the work day. Guess who makes me go walking at 5:30 a.m.? A coonhound named Cinnamon Sally. Sally was my friend’s foster dog. Now is the time to tell you how I met my late friend, Sonya Renee Anderson. She was my boyfriend’s cousin. Moreover, she was the beloved cousin of many in a large, tight-knit family. She was the most enthusiastic about the annual family reunion and put herself in charge of the next one, telling her cousins it was time for their generation to take over for their parents (who are all alive). This year’s family reunion without her means we won’t share in her beautiful smile, we won’t get a big hug from her and she will be greatly missed. But we will celebrate in her honor. We had the blessing of getting to visit with her this past October, when she tried to convince us to adopt Cinnamon Sally. We demurred because we already have two dogs. We did consider it. When Sonya passed away, we realized we had to go get the dog and bring her home. I think about Sonya a lot these days. She was an inspiration to me when she was alive. Now, I trot after this silly hound and reflect on what Sonya would tell me if she was still with us. If it wasn’t for Cinnamon Sally, I wouldn’t be sticking to my first New Year’s resolution. In the little over three weeks we’ve been walking together, my waist has gotten a little bit smaller. Now, it’s up to me to achieve the other resolutions: write a book, start cycling again and make more money. So, I ask again, are you living your best life? Why not? What’s stopping you. Make the changes. Make it happen. And have fun.